You know, if anybody still reads this blog, please feel free to comment. That would increase the likelihood that I keep posting, or at the very least, share what has been going on lately. Well, I can't believe this thing is still on! Observant people may have noticed that there haven't been any new posts for a while. I'm not dead, nor have I been hired by any presidential campaigns and then forced to resign. Instead, life has happened. New opportunities have arisen and all that. The result, however, is that I will soon be leaving Minnesota. It's hard to know what is going on in a state politically if you are not there. Hence, this blog is going to no longer exist. I started this more than two years ago for one reason: I was bored. And technology allowed me to be bored at people instead of just mumbling to myself. I don't particularly think that this blog was of even average quality: I did very litle original digging, instead just commenting on whatever came along. There are a lot more Minnesota blogs out there today than there used to be, and lots of them are good. Not MDE, of course, but many of them are. So go read them. Thanks for the comments and memories! "Bachmann wins and humiliates herself immediately nationally." Yes, I would say that I nailed that one. You've already seen this by now, but that doesn't make it less creepy. She. Is. Nuts. Something tells me that in the back of her head, there's this nagging thought that she and Bush could "hook up" and bring about the Second Coming of Jesus Christ, if you know what I mean. I don't think Pawlenty has the triangulating thing down. His budget is only impressive in the way that it manages to piss off both sides. First, this is by no means a conservative budget. A 9% increase in spending? How is that "smaller government"? A tiny fraction of the surplus spent on tax relief? Lots of borrowing for transportation? I can't see how conservative Republicans can support this budget at all. But it doesn't go far enough for Democrats either. No promise to provide health care coverage to all kids. No all-day kindergarten. No new transportation money. A somewhat convoluted school "rewards" system that will only serve to reward the schools that don't need the help. All in all, there is very little leadership in this budget. Pawlenty says that the "status quo" isn't good enough, but he maintains the status quo in plenty of areas. Has he given up? Is he tired? Or is there some other explanation for the lack of inspiration in this budget? 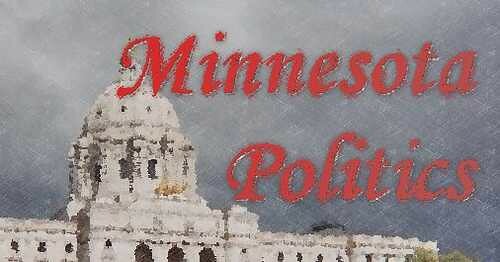 Governor Pawlenty gave his State of the State address today, and it was mainly focused on education. To be honest, I was not terribly impressed by the details of his plans, nor by the rhetoric. I am not a huge fan of our current school system. In fact, I think it stinks in many ways. But Pawlenty's digs at schools seemed pretty sad. If you are going to bash schools, go all the way; don't talk about how students are "coasting" with backpacks full of papers. That is insulting to both teachers and students. Say that students are slackers because they aren't fluent in a language other than English by the time they graduate, or that they haven't taken mandatory AP classes, or that they got out of high school without four years of math, four years of science, four years of literature, and four years of social studies. Those are the standards you want to set. I don't think I agree with his proposal to give schools with high ratings extra money. That just rewards the schools with the most resources to begin with. I would much rather see a system that rewards schools for the size of their improvement. A crappy school that drastically improves itself over a few years deserves much more support than a suburban school that starts out fantastic and doesn't improve much. I know that may not be popular, and I know it's very hard to come up with the right incentive program to reward and punish the right people, but basing it on raw scores is not a good idea. So the "three stars" plan is not a good one. All day kindergarten? Yes, so why wasn't he supporting it? Why isn't he supporting investments in our transportation infrastructure? Or giving all kids health care? Because he's Pawlenty, I guess. A property tax cap is a non-starter to me too. Look, Republicans: you can't have it both ways. Either you support a bottom-up government, in which case local governments can do whatever they want with property taxes, or you support a top-down government, where the feds and the states dictate what is acceptable and what isn't. Make up your mind. Personally, I support the bottom-up approach, and once upon a time Republicans at least paid lip service at least to that thought. Other than that, there wasn't much interesting. Pawlenty sounds less Republican these days, but I still wouldn't turn my back on him.